A serum is the key to supercharging your beauty routine. But what exactly is a serum? Serums are lightweight, highly-concentrated formulas that come packed with active ingredients. That’s why they’re so powerful – serums absorb into the skin quickly and give your skincare regime a punch. But how does this magic potion for your skin do its thing? Join us as we take a closer look at what makes Face Serum the crown jewel of your beauty regimen. What ingredients are in face serum? Face serums are made with a high concentration of active ingredients that deliver a boost of benefits. Clarins uses a range of botanicals sourced from around the world. Some ingredients are tried and true, while others are on the forefront of innovation. Clarins’ serums use the best herbs, exotic fruits, soothing flowers, tree extracts and more, depending on the specific concern. 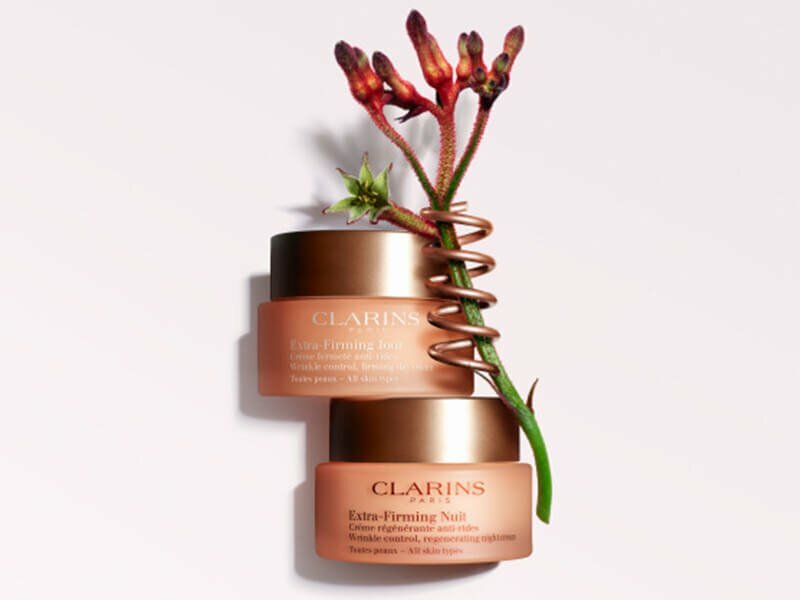 Clarins’ formulas are constantly being improved as strides are made in technology and plant science. All our best-selling products are continually enhanced as innovations are made. What face serum should I use? The best face serum for you depends on what your top concerns are. Clarins has a targeted serum for every concern, including aging skin, deep wrinkles, firming, hydration, dark spots, contouring, mattifying, brightening and sensitivity. Just a few drops is all it takes to power up your beauty routine and prep your skin for perfection. Is face serum the same as moisturizer? Not exactly. Serum is a more potent formula that doesn’t typically add much moisture (Clarins’ Hydra-Essentiel Bi-phase Serum for Normal to Dry Skin is an exception) Serums are best used underneath your day or night cream. If you’re looking for the right serum for your skin type, try out our Serum Finder. How do I apply face serum? Clarins doesn’t just design formulas – we also design application methods to make sure you’re getting the most out of your products. To maximize the efficiency of your face serum, you’ll need to make sure you’re applying it properly. That’s where our Beauty School comes in. Our team of experts works to create easy-to-follow application methods that allow the products to perform at their best. These expert techniques are easy to replicate at home (and they feel indulgent, too). Warm: Bring serum to skin temperature by warming between palms so that skin accepts it instantly. 3 seconds should be enough. Apply: Use the natural weight of your hands to distribute the product evenly over your face and neck. 8 seconds is all this takes. Drain: Use Clarins’ Draining Pressure Method to enhance circulation, revive radiance and promote healthy looking skin. Repeat: 3 times on the cheeks, 3 times on the forehead, 5 times on the neck and decollete. 16 seconds later and you’re all set. For more tutorials and pro tips for your face-care routine, have a look at the Clarins Beauty School - you’ll find video guides for just about every aspect of your regimen! What is the best face serum for wrinkles? 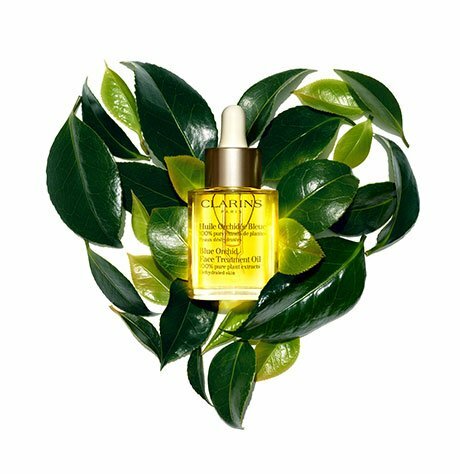 Clarins’ Double Serum is one of the most powerful age concentrates we’ve ever released. Since its launch in 1985, the serum has been beloved for its ability to visibly reduce wrinkles, visibly promote skin firmness, minimize pores, hydrate, and smooth the appearance of lines. In fact, Double Serum was the number one best-selling Prestige Skincare Launch in U.S. Department/Specialty Stores1. Double Serum comes with two power-packed anti-aging serums in one. And, because Clarins is dedicated to innovation, the formula has been enhanced over the decades. Clarins’ Next Generation wrinkle treatment now uses more than 20 potent plant extracts, including powerful turmeric. Clarins’ Double Serum is designed for all ages and all skin types, no matter how sensitive. 1Source: The NPD Group, Inc. / U.S. Prestige Beauty Total Department/Specialty, Skincare Dollar Sales, Annual 2017. Which face serum is best for dry skin? If your skin is in need of a moisture boost, consider Clarins’ Hydra-Essentiel Bi-phase Serum for Normal to Dry Skin. Many factors go into causing dry skin. These include sudden temperature changes, indoor and outdoor pollutants or environmental stress. Unfortunately, fine lines are often exacerbated by dry skin, lending a more tired appearance. Those with sensitive skin know that finding skincare products can be a challenge. That’s why Clarins created the Skin Beauty Repair Concentrate S.O.S. Treatment for Sensitive Skin. This soothing formula uses mint and other plant extracts to calm irritations and inflammations. With continued use, this serum restores balance and clarity to sensitive skin. This product can be used by all ages. Which face serum is best for dark spots and uneven skin tone? Clarins’ lightweight Mission Perfection Serum targets dark spots, discolorations, dullness and shadows. Mission Perfection doesn’t just mask your flaws - instead, it leaves your skin looking fresh and revitalized, all without altering your natural skin tone. The key ingredients of our serums in the Clarins store are Ginkgo Biloba, a tree with anti-free radical and soothing properties, and Acerola fruit, a wild cherry prized by indigenous people of the Yucatan.